In the last two posts, we had a brief overview of how sound is recorded and reproduced. If you didn’t read those posts and you would like a primer, you can read them first by clicking [here]. Now that we have a good understanding of how our favorite audio is recorded, we can set out to buy an audio system suitable for reproducing this in our home. A basic 2 channel audio system consists of: a source (such as a CD), an Amplifier (to power your speakers) and a pair of speakers. There are many other add ons that can be used to maximize performance of your system. We will get to those sooner or later, but for now we will keep it simple. Depending on your tastes, you may purchase an LP record (vinyl), a Compact Disc or Super audio CD for playback on your 2 channel audio system. We will use a CD for this example, since almost everyone is familiar with the CD player. A CD player can not connect directly to a pair of speakers. The amount of electricity that comes from a CD player is far too little to work a speaker. In order to make the speaker move, we must “Amplify” the signal from the CD player. In order to do this, we will connect the CD player to an Amplifier via a cable. These types of cables are referred to as “interconnects”. We call them this because they are used to help the various pieces of electronics in your system interconnect, which allows them to work together as one unit. The most common type of interconnect for a CD player is the RCA type cable. Some call this a “Phono” cable, because it’s first use was to connect record players or “phonographs” to amplifiers decades ago. We need one cable for each stereo channel. Left and right. Next we get our amplifier. We will connect our RCA cables from the CD Left and Right “output” to the Left and Right “input” connector on our amplifier. Once this is done wenow can connect our speakers. Each speaker has two terminals on the back. One is usually Black in colour to represent “negative” and the other is typically red in colour to represent “positive”. This relates back to our discussion on sound where there is positive and negative pressure needed to make sounds. In the case of a speaker, when voltage is applied to the positive terminal, the speaker will move forward. When voltage is applied to the negative terminal, the speaker will move backwards. The back of your amplifier will also have red and black coloured connectors. In order to properly connect your speakers to your amplifier, all you need to do is connect some wire from black to black (amp to speaker) and red to red. You will do this once for the left channel and once for the right channel. Aside from the obvious step of plugging your new system into the electrical outlet, everything will now be connected and operational. Even though it will all work, you arent quite ready to listen to music yet! We must first find the right place in the room to place your speakers. Getting back to the recording studio, typically the studio speakers are placed in such a way that the engineer sits at the top of a perfect triangle, with the two stereo speakers making the second and third corner of the triangle. The speakers will be at ear level, or they will be directed towards the ear if they have been placed higher up. This is always a good place to start, but you will still need to use your ears (and your knowledge of sound) to place them correctly. When the speakers are correctly placed, you should be able to hear various sounds from your music coming from the left or right sides, coming from the center and everywhere in between with no apparent holes between the center and the sides. If you have your speakers placed too far apart, you will most likely hear sounds at the far left, far right and center with nothing in between. If you have them placed too close together, then you will most likle hear everything all lumped together in the middle with less overall clarity. The trick in getting this right is to listen to a number of different performances and adjust your speakers until it seems to sound pretty smooth over many different tracks. If you have accomplished this, then you are on your way to good stereo sound reproduction. Now that you have found the right left to right distance, you can move the speakers around to get the best tone. If you move your speakers closer to the back wall or corners, you will hear more bass. Farther away gives you less. As you move your speakers around, the sound will seem to get bigger or smaller. Filling more or less of the room. In a perfect world, you probably want about 3 feet of distance from the wall for the clearest sound. Symmetry is also important. 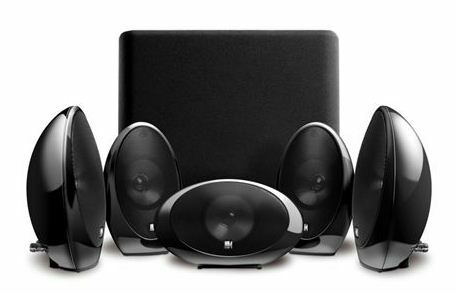 The best setup, will have each of your speakers equidistant from the walls of the room. Dont be too worried if you can’t get your speakers 3 feet out from the wall. Very few homes have an area dedicated simply for listening. For this reason you will no doubt have to compromise a little on speaker posistion and room layout. In my home, my speakers cannot reside where they sound the best. When the time comes that I want to listen to music, I will move them further away from the wall to the best place and then move them back when I am finished. Play around with the position of the speakers in your room. You will find that this makes quite a difference to the overall sound and then you will be ready to move on to the next step! If you have any questions, please don’t hesitate to stop by the store and chat with me. You can always email me at stevem@shopgibson.com or follow me on Twitter @SteveMGSV . Make sure to follow us on Twitter and Facebook to keep up-to-date with all of our blogs! This entry was posted in All About Audio and tagged Amplifiers, Audio, Gibson Sound & Vision, Home Theatre, Speakers, Steve Metcalf. Bookmark the permalink.